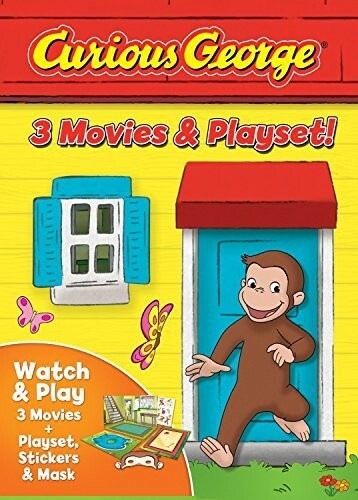 Join Curious George, an inquisitive little monkey in his comical fun-filled adventures. Whether on a space mission, in the jungle or just at home, he transports you to a world of exploration and mayhem while making lots of friends on the way! Watch & Play with this special box set which includes three delightful feature film adventures. Unfold the inserts to reveal Curious George's country house and be sure to monkey around!